Did I like it? Yes. 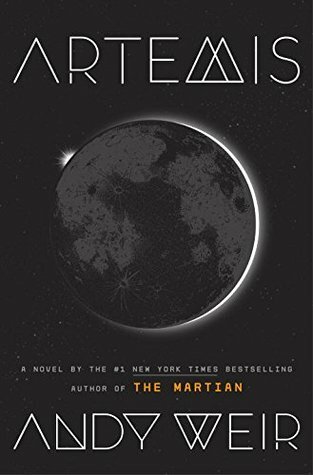 It was a fun, fast-paced science fiction novel that, like The Martian, is heavier on the science than the sci fi books I typically read/enjoy. Weir does a good job of presenting science (whether it's legitimate science or fantastical science) in an interesting manner even though sometimes there is a LOT of science explanation. Some of the supporting characters were also quite interesting -- Jazz's father and Rudy the security enforcer to name a few. I found that these supporting characters and the engaging world building of this "city on the moon" drew me into the story fairly early on. Did I dislike it? Yes. My dislike centers mainly around the central character - Jazz Bashara who is easily one of THE most annoying characters I think I have ever read. She reads more like a prepubescent boy than a twenty-something woman. A dirty joke here and there is one thing...but her entire monologue is one crude joke after another. Her one-liners just become tiresome fairly early on in the plot. I kept hoping Weir would tie her strange characterization into the plot somehow...but it just never materialized. I found it to be an interesting story...I just don't know if the issues I had with how the main character is portrayed justifies (for me) spending the time to read the story. My issues with Jazz aside, if you enjoyed The Martian and Weir's writing style then I would recommend you also check out Artemis. This title will be released on November 14, 2017. A Big thank you to Netgalley for providing this e-arc in exchange for an honest review.